In addition to helping compile our annual Top 11 Albums List, we asked our panel of critics to also share their picks for the best individual songs of the year. Unlike the albums, we are not trying to compile a collective list – but we wanted to know some of the songs that inspired, wowed, connected with, and deeply moved our critics. We hope these 48 tracks give you a resource to discover the best faith-inspired music being made today. 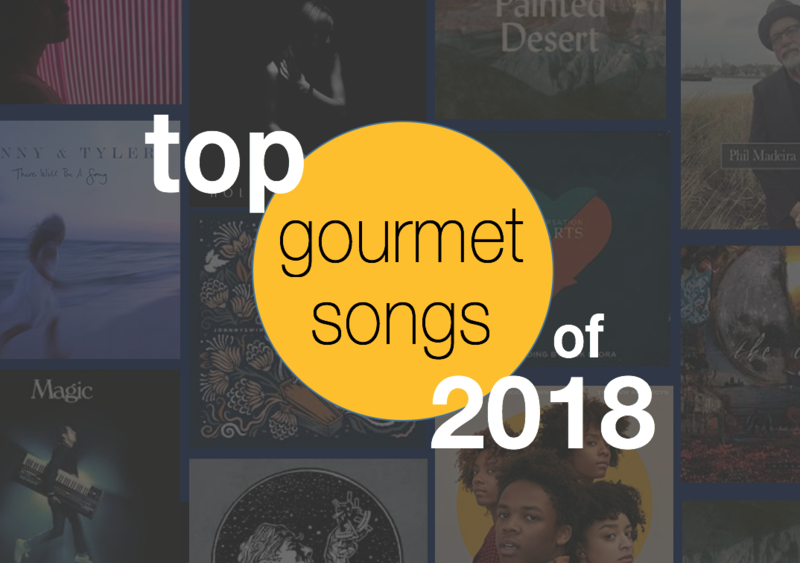 Here are the Top Gourmet Songs of 2018. FYI, songs are listed in no particular order. Like most music lists, this was a subjective exercise, and one where we wanted to tap into songs that resonated deeply with each of our panelists. We welcome your thoughts below. (A) Were there any songs that are on this list that also connected with you personally, and (B) are there any songs you would add to this list? In early February, we will be releasing a new compilation album for free on NoiseTrade called UTR’s Best Songs of 2018, and will include several of the songs listed above! Kevin Max: Prodigal! Great choice!